This might sound crazy but the best birthday cake I have ever had was from a bakery in the Bahamas. 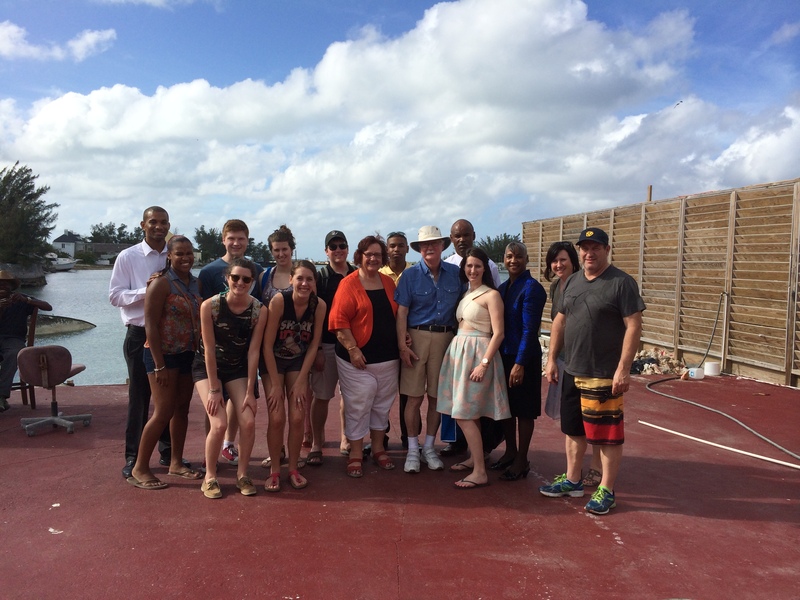 For my 26th birthday my entire family was in the Bahamas visiting my friend Shavanti. Shavanti, knowing I am a baker, went out of her way to find this extraordinary cupcake. Although the icing had melted and the candle would not stay lit, it still out shined cakes I’ve had from Paris, London and back in Toronto. Shavanti showed us around the city and we finally got to try Conch Salad, something she had been talking about since I met her first year of university. She took us out back of this restaurant where they showed us how they get the Conch out of the shell and what part we actually eat. We perhaps should have watched this after we ate however it was still delicious. The restaurants are brightly painted and built on top of the conch shells. Thousands and thousands of them as this is a very popular dish. Some chefs will make a couple hundred conch salads in a single day! 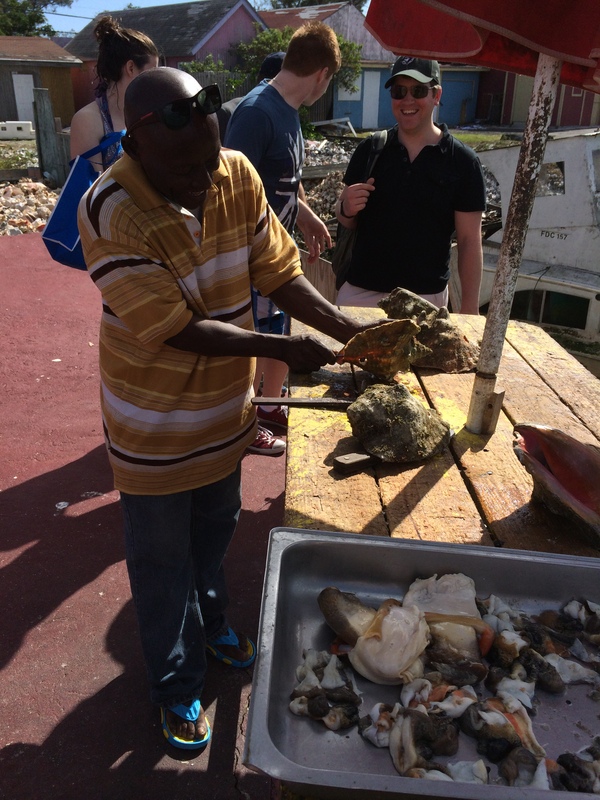 We also tried conch fritters and grilled conch. Nassau is a beautiful city. Shavanti was explaining to us how all the buildings in Nassau are colour coded. Government buildings are pink (conch pink) and white, hospitals are yellow and white and finally the police and fire stations are green and white. We had just missed Junkanoo where thousands of people flood the street dancing in bright costumes in a celebration of freedom. The islands of the Bahamas is the only place you can experience Junkanoo and something I hope to experience one day. We saw some of the floats/costumes on the side of the road as we drove around. Some of the costumes are so intricate they can take up to a year to create. Thank you Shavanti for showing us around! This entry was posted in Uncategorized and tagged Bahamas, Birthday, Conch, Conch Salad, Nassau, Sunshine, Vacation. Bookmark the permalink.